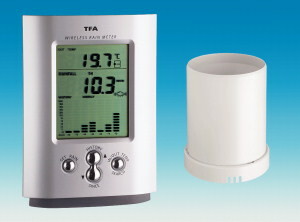 Observe and record the weather with your own multi-functional weather station. 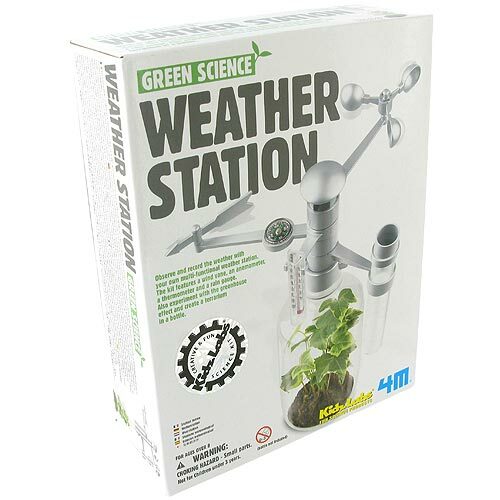 This kit features a wind vane and anemometer, as well as a thermometer and a rain gauge. It also allows you to create a terrarium in a bottle. A detailed instruction manual is included to assist with assembly. 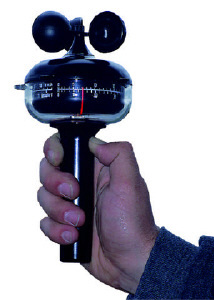 Windsnelheidsmeter, vervaardigd van stevige kunststof, voorzien van een handvat met schroefdraad voor eventuele plaatsing op een statief. Een transparante afdek kap voor bescherming van het schoepenrad tijdens transport wordt meegeleverd. Voor registratie van neerslag. Het toestel bestaat uit een kunststof maatcilinder met opvangtrechter en metalen voet. Geschikt voor losse opstelling en wandmontage. Voor de draadloze overdracht van de regenhoeveelheid (tot 9999 mm) en buitentemperatuur (max. 30 m reikwijdte in het vrije veld). Levering incl. regenreservoir (zendeenheid) en batterijen. Hanna Instruments introduces the first product in the Backpack Lab series. 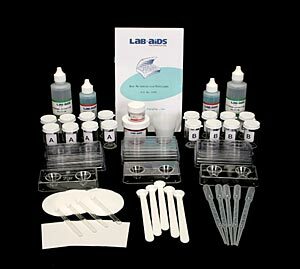 The Water Quality Education Test Kit provides a complete unit to introduce students to the importance of water quality in our streams, lakes and rivers. 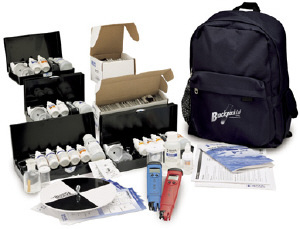 The components are tied together by an extensive Teacher's Guide, with classroom activities designed to introduce students to each parameter and detailed field-testing procedures. Ph/temp. meter, 110 tests each for acidity & Alkalinity, 100 tests for Carbon Dioxide, Dissolved Oxygen, Hardness, Nitrate & Phosphate and much more. For more info see the Hanna website. 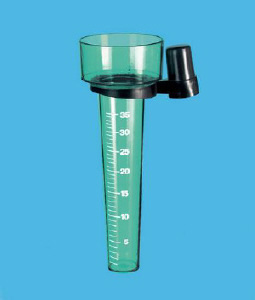 Specifically designed for use by educators and environmental science students, this test kit provides a complete unit of chemical tests for soil quality and fertility, then relate these measurements to the principles of plant metabolism. Real-world examples help students understand the relevance of macronutrients and other parameters to everyday life. 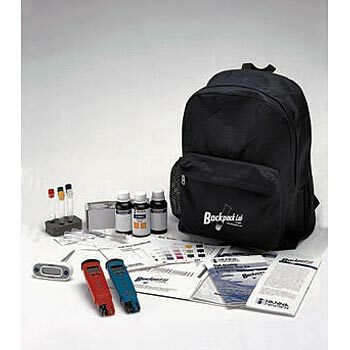 Kit includes:Nitrogen Test Kit (50 tests), Phosphorus Test Kit (50 tests), Potassium Test Kit (50 tests), pH Test Kit (50 tests), Waterproof pH/Temperature Meter, Waterproof Conductivity/TDS Meter, Digital Thermometer, Glossary of Key Terms, Laminated Laboratory Instruction Cards, Teacher's Manual, Backpack-Style Carrying Case. Met de zes meest gebruikelijke testen voor de controle van zuurgehalte, alkaliteit, pH-waarde, kooldioxide, hardheid en opgelost zuurstof in water. Inhoud: gebruiksklare oplossingen voor telkens 110 testen bij monsters van 5 ml, 10 ml, 15 ml en 50 ml en een pH-meetinstrument. Draagkoffer L 430 x B 300 x H 80 mm. Totaal gewicht ca. 2700 g.
Voor het controleren van de alkaliteit, hardheid, chloride-, sulfiet- en ijzergehalte en de pH-waarde in water. Inhoud: gebruiksklare oplossingen voor telkens 110 testen bij monsters van 5 ml, 15 ml en 50 ml en een pH-meetinstrument. Draagkoffer L 430 x B 300 x H 80 mm. Totaal gewicht ca. 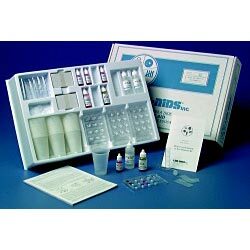 2700 g.
Each kit is a complete science lesson and includes a curriculum on a 3 1/2″ disk, test strips, and simulated pollutant packets to create positive controls. 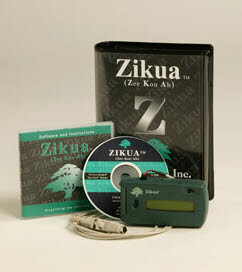 Enough materials for 50 tests of each factor are included in all of the kits. 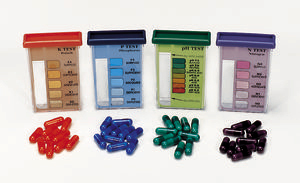 The Drinking Water Kit tests for pH, hardness, copper, and chlorine; the Ponds and Streams kit tests alkalinity, phosphates, pH, and nitrates; and the Wastewater kit tests chlorine, phosphates, and nitrates. Soil testing in 3 easy steps. Just mix soil with water, pour liquid into comparator, and add contents of capsule to instantly compare color for test reading. 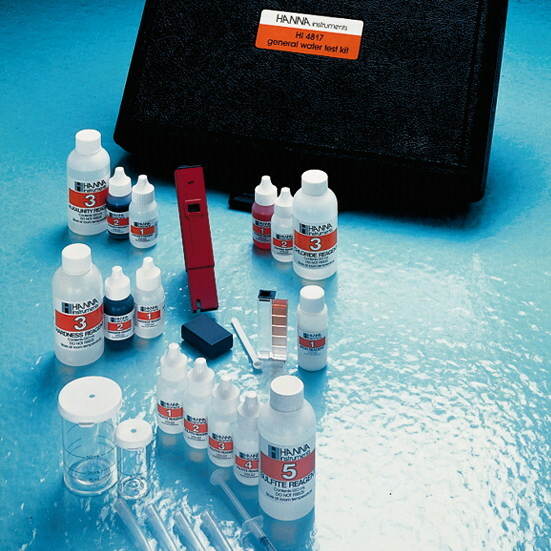 Test Kit contains materials for 40 tests: 10 tests each for pH, nitrogen, phosphorus, and potash. Instructions included. A simple means of encouraging and demonstrating the growth of soil microbes such as protozoa, fungi, bacteria, and algae. Interrelationships of these microbes can be observed over a 6-week period. Soil sample must be field collected. 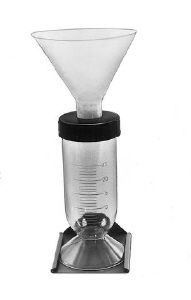 The apparatus can be reused. 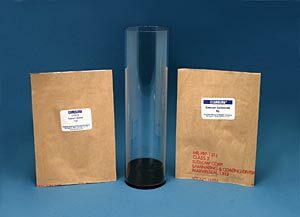 Includes plastic column, solid rubber stopper, calcium carbonate, calcium sulfate, and instructions. Instructies bijgesloten, verpakt per 10 dipslides. Voor eenvoudige hygiënecontrole. D.m.v. kontaktonderzoek, bestrijken of dompelen. Experience the physical, chemical, and biological processes of a wastewater treatment plant without ever leaving the classroom. Using a non-hazardous organic solution to simulate sewage, students observe changes through the aeration, bioremediation, and filtration stages-without the odor. Students are actively engaged during the simulation by recording and graphing the decomposition of organic material over time. This easy-to-assemble unit is battery powered, making it completely portable. Everything is included to accurately replicate the workings of a real wastewater treatment plant. Om op eenvoudige wijze oppervlakken die met voedsel in aanraking komen te monitoren op hygiëne. Het laat met tien minuten middels kleurverandering in de swab zien of er effectief is schoongemaakt. 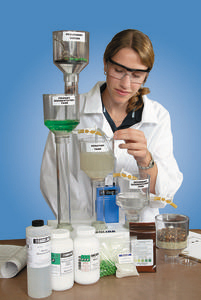 With this lab, students use ordinary soil samples and simple lab techniques and staining procedures to conduct a thorough evaluation of the soil. They identify micro-organisms, calculate soil fertility, determine soil pH; and correlate the soil’s pH value to soil lime requirements. Olietestpapier. Fabrikaat Macherey-Nagel. 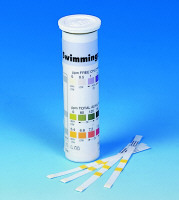 Speciaal indicatorpapierstrips 20x70 mm voor de kwalitatieve bepaling van olie in water en/of grond. Per 100 strips verpakt in een kunststof doosje. Voor meting van de actuele windsterkte met maximum en gemiddelde waarden, temperatuur en gevoelstemperatuur (windchill). Windsnelheidsmeting in m/s, km/h, mph of kn. Windsterkte- indicatie volgens Beaufort op histogram- windschaal (0 tot 12 bft). Levering incl. neopreentas, draagkoord en knopbatterij CR2032. Meetbereik: - 30 tot +50 °C. Verdeling 1 °C. Met kwikloze thermometervloeistof (rode speciale vulling). Kunststof behuizing. 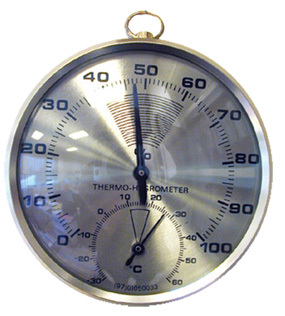 Metalen merker geeft de Max/Min- temperaturen aan; met drukknop voor het resetten. Afmetingen B 79 x H 230 mm. Met ophangoog. Accurately forecast weather changes 4 to 12 hours in advance with this 17th century replica barometer. 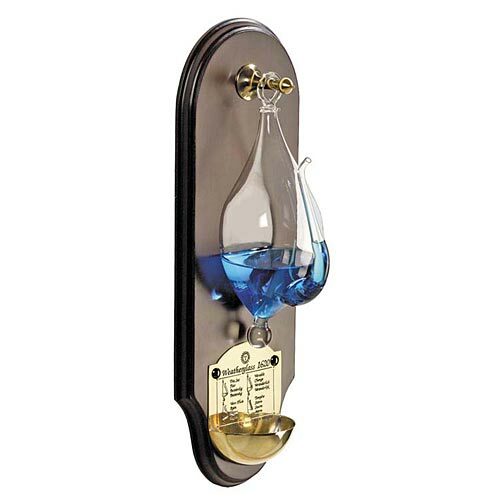 An elegant Georgian style wooden wall plaque handsomely offsets a hand-blown weatherglass, which indicates the weather conditions by the rise and fall of the water level in the glass’s curved spout. A solid hand turned brass hook and hand crafted brass drop catcher with explanatory legend in four languages completes this beautiful and functional wall accessory. Simply fill the weatherglass with water or alcohol, mount the decorative plaque, and immediately enjoy the modern benefits of ancient weather forecasting. Voor het meten van de relatieve vochtigheid. Decoratief groot model (diam. 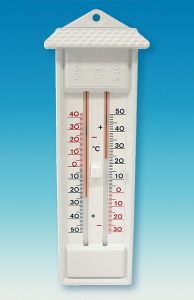 10 cm) met ingebouwde thermometer. 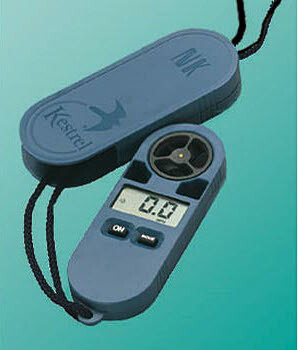 The Kelway HB-2 tester lets you make instant on-the-spot tests for soil pH and soil moisture content. Easy to use. 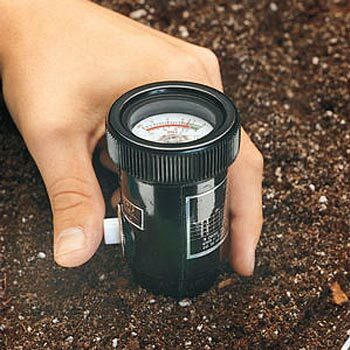 Simply insert base of instrument into the soil, hold button down, and read moisture content on lower scale; release button and read pH on upper scale. 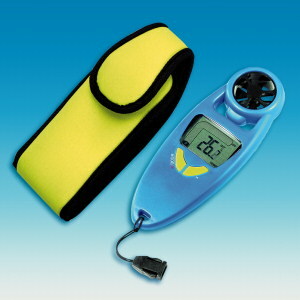 The tester is easily carried on the belt, and does not require a power source. A rugged, reliable instrument. Instructions and carrying case included. 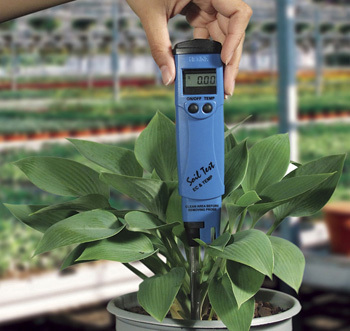 The HI 98331 Soil Test is a special pocket tester designed to directly measure soil conductivity and temperature. With an incorporated sensor in the penetration probe, readings are automatically temperature compensated. 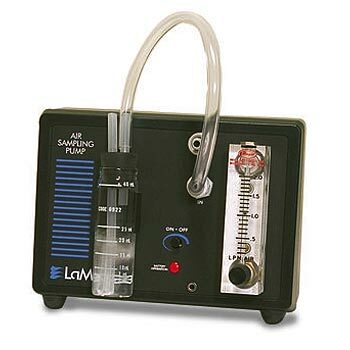 Conductivity range can be calibrated at one point and is designed to be calibrated in liquid. An excellent tool to illustrate the relationship between soil nutrients and plant health. 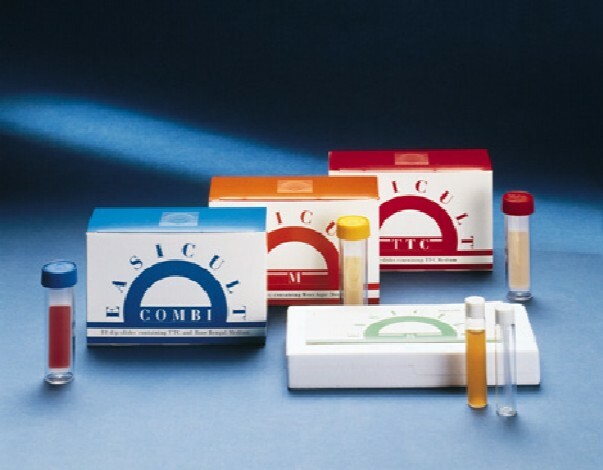 Perform colorimetric tests for nitrogen, phosphorus, and potassium (N-P-K) by preparing liquid extracts from plant tissue. 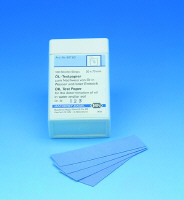 Kit provides enough reagents and labware for 50 tests per test factor. 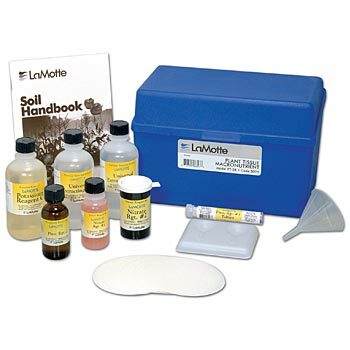 Includes the LaMotte® Soil Handbook and complete instructions. Battery powered, completely portable. 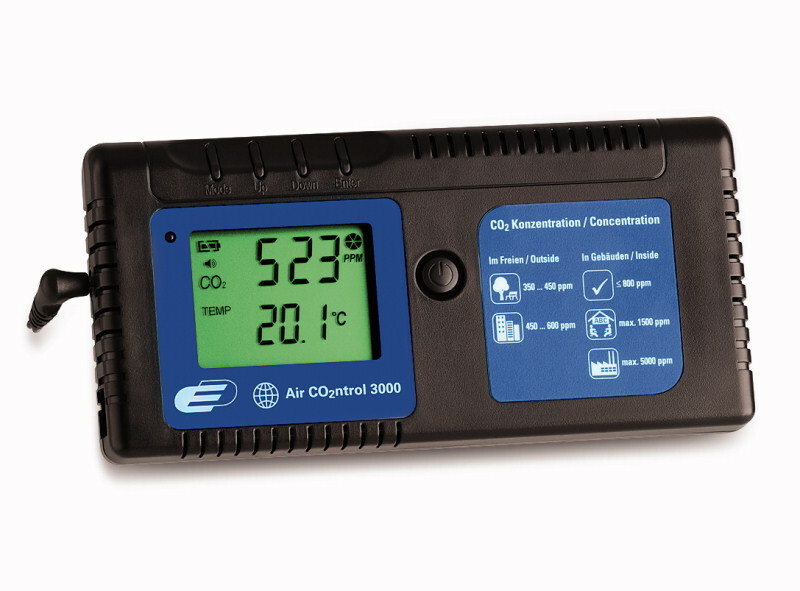 Capable of monitoring atmospheric air pollution to check 8-hr exposure limits for workers in industry. Driven by 4 standard D-cell batteries, this unit is capable of maintaining flow rates for 48 hr of continuous sampling before batteries need replacing. Intermittent sampling periods extend the range of usage considerably. Complete with flow meter, impinger holder, batteries, connection tubing, and carrying case. 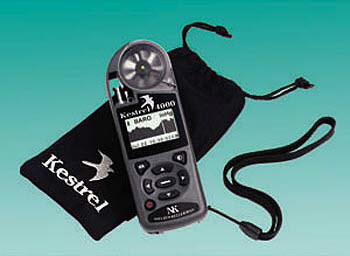 This handheld optical reader provides instant, accurate ozone readings using EcoBadge TestCards. To determine the ozone level, simply expose a TestCard to the air for one hour and then insert it into the TestCard reader. The ozone reading is then displayed in ppb (parts per billion). Additional data with successive readings can be recorded and then uploaded into a computer. 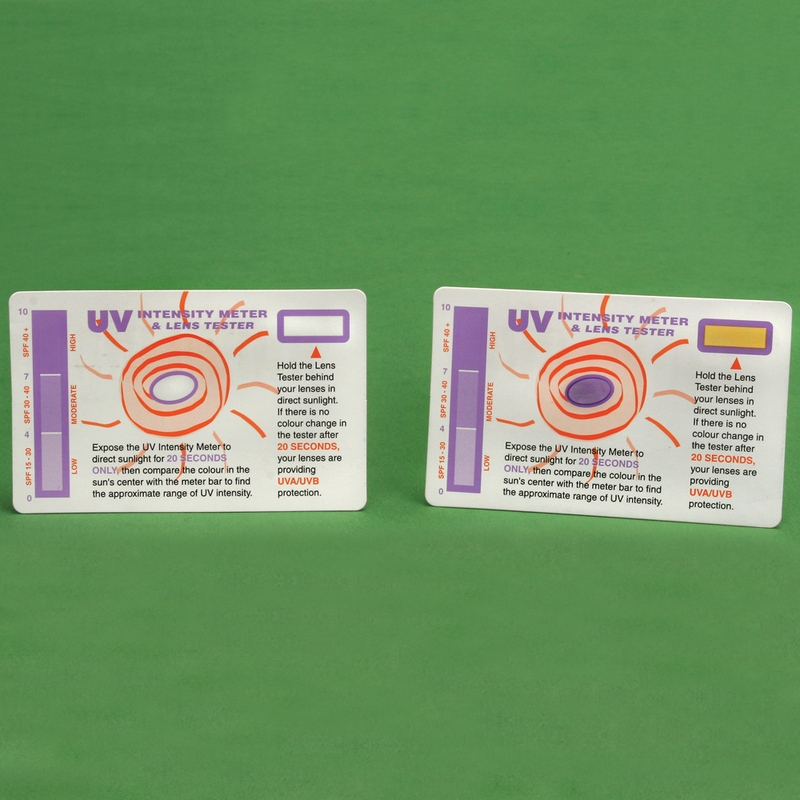 Pack of 10 EcoBadge TestCards included, and instructions. Requires 3 AAA batteries (not included). 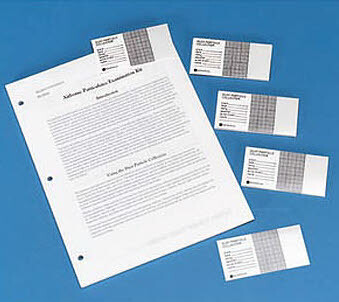 Includes 50 adhesive dust particle collectors with peel-off backing. The collectors are placed in desired locations, then collected and examined with a magnifier or microscope. The dust particle collector has 3 zones to facilitate examination with ground, transparent background, and grid of 1-mm squares. Engage with the world around you with this powerful and compact unit that enables easy wireless field experimentation and Google Maps location-based functionality. 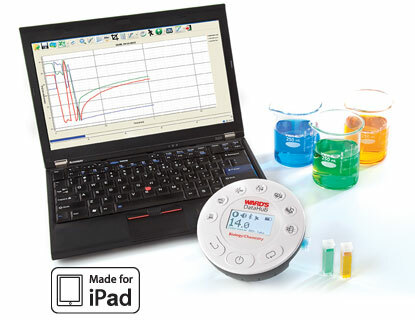 With this complete system, you can measure and analyze data models for a variety of standards-based topics including temperature and light over time and location, acid rain, turbidity, water quality, temperature and relative humidity in urban vs. rural areas, altitude and air pressure, heat absorption and cloud-warming effects, and much more. Icon-based design and large graphical LCD screen make this system easy to understand and use. Unit has a 128k sample memory and 24k/sec sampling rate, 12-bit sampling resolution, and long-lasting 150 hour battery life. Includes Ward's DataHub Software, AC/DC Adapter, Quick Start Guide, and USB cable. 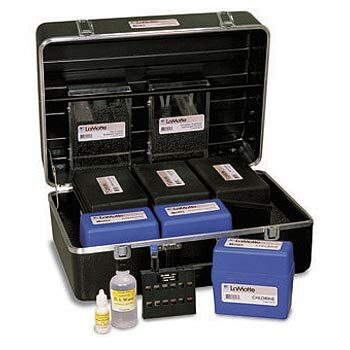 Accessories included with this unit include the External Temperature Probe, Colorimeter/Turbidity Cuvettes, plastic rod, stand and screw, and pH Electrode. Compatible with PC/Mac and iPad. Thirteen built-in sensors include: UV, pH, Sound Level, Barometer, IR Temperature, Ambient Temperature, Relative Humidity, GPS, External Temperature, Temperature, Turbidity, Colorimeter, and Universal Sensor Input, plus optional Dissolved Oxygen Sensor, available separately. Voor de bewaking van de CO2-concentratie in gebouwen bijv. scholen, universiteiten en openbare inrichtingen. Levering incl. adapter en 4 batterijen Mignon 1,5 V.